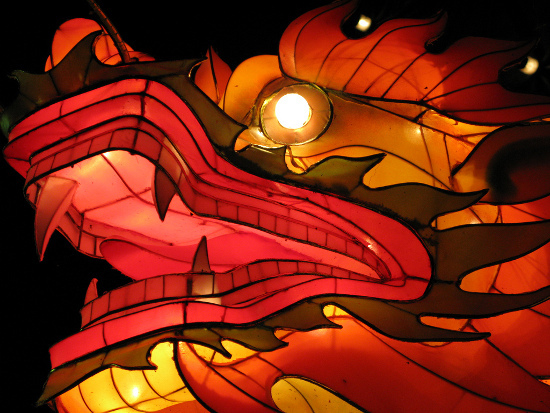 Have you always wanted to discover the mysteries and wonders of China? Well all you need to do is cross the channel to where Rosie Khdir has found Europalia International. Europalia, one of the leading arts festivals in Europe, celebrates its 40th anniversary this year and will be sending its guests on a journey through China. In Belgium and its surrounding regions, over 50 shows and 400 events will be put on in the greatest museums and venues to unveil the history, culture and traditions of this amazing civilization. Visitors can discover China through the festivals four themes: Eternal China, Contemporary China, Colourful China and China and the rest of the world. Eternal China will be exploring Chinese heritage, for example in the Son of Heaven exhibition at the Centre for Fine Arts in Belgium which is showing 5000 years of the country’s history through beautiful works of art. There will also be an exhibition in Antwerp based on the life and literature of the Tang Dynasty. Contemporary China takes a look at the current state of affairs in the form of music, dance and photography. Collaborations have been set up between the FotoMuseum in Antwerp and the Shanghai Art Museum to show contemporary art and there will also be a pop, rock and electronic music festival held at the Vooruit in Ghent. Colourful China is about traditions and popular culture and is portrayed through tributes to things such as the fine Chinese art of calligraphy and the Chinese New Year traditions. There will be masks in Binche, fabrics and jewelry of the Miao in Liège, an exhibition on musical instruments in Brussels and Chinese puppet theatre in Bozar. China and the rest of the world not only explores the country’s international relations but also takes a look at new artistic collaborations. It will celebrate the union between Belgium and China during this festival and the special relationships shared between the different cities, provinces and regions. This festival will be filled with artists, musicians, acrobats, writers and filmmakers from both China and Belgium all united to celebrate the history and traditions of this enchanting country. The festival is running until 14 February 2010. Take a look at the Europalia International websites for a closer look at what’s on offer. Recycled 80s jumpers, remote control dresses, outfits made from foam; this is The Art of Fashion. Rosie Khdir explores the latest fashion exhibition in Rotterdam. Fashion has been seen as an art for decades, from back when Queen Elizabeth I painted her face white and wore pearl encrusted dresses, right up to the latest catwalk shows during fashion week. The Museum Boijmans Van Beuningen is hosting an exhibition staring the exclusive works of five top international designers, Viktor&Rolf, Naomi Filmer, Hussein Chalayan, Anna-Nicole Ziesche and Walter Van Beirendonck. The show, made possible by the H+F Fashion on the Edge Programme, is about exploring the boundaries outside the concept of wearable fashion and these designers have used installations, performances and sculptures to portray their personal interpretation of modern fine art. One piece to look out for is Walter Van Beirendonck’s “2357- The sequel”, an elaborate comic strip inspired temple which he made to hold his own wooden sarcophagus. 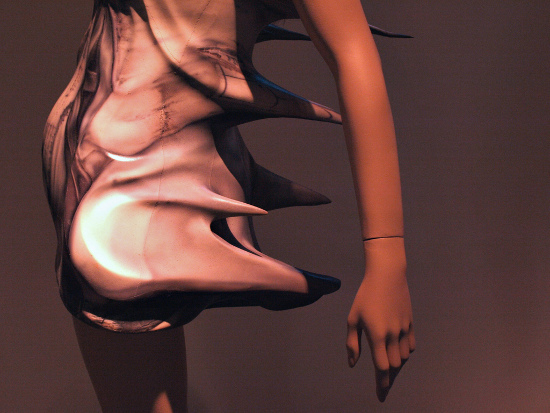 Hussein Chalayan’s untitled piece consists of a mannequin placed in an aquarium and surrounded by the earth’s elements. The mannequin’s movements are recorded and then projected onto screens, emphasising the importance of performance in fashion. This is just a taste of the fashion wonders you will experience at the museum, as well as works by 25 other international designers. In this exhibition, you will get shown how every aspect of fashion transforms into a different form of art; a catwalk into a performance, a textile into a sculpture. The exhibition runs until January 10th 2010 and more information can be found at the museum’s website. This show is truly a feast for the eyes- do not miss it! 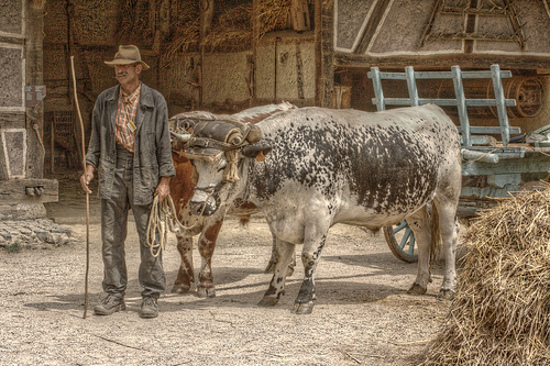 Tomas Mowlam looks at a novel new way to get to know rural Spain. A free holiday in a beautiful rustic area of Spain sounds too good to be true, so what’s the catch? The only one is that you have to talk, a lot. 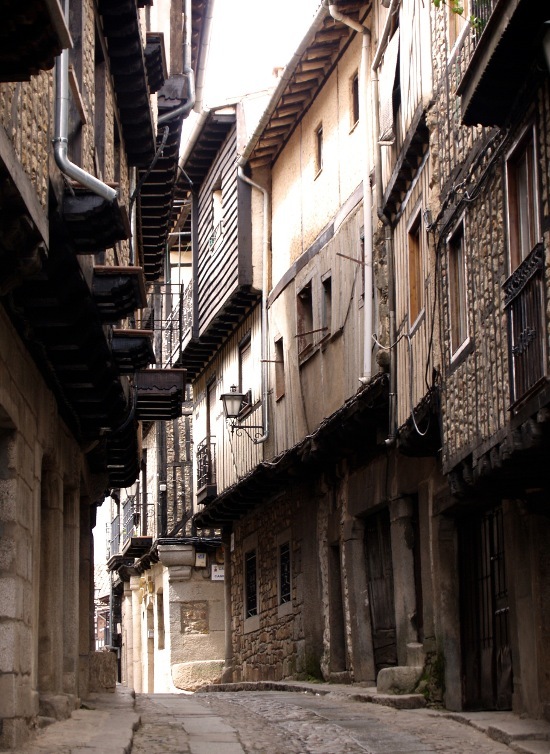 Run from several villages in Spain, the Pueblo Ingles program aims to give Spanish business people “intensive exposure to raw English and to authentic and impulsive conversation”. The theory behind the program is that immersion in a language, in this case English, forces people to learn quicker and stop thinking in their native tongue because mental translation slows down conversation. The seven day program is free and accommodation and food is provided, though you have to pay your own way to Spain. That is far from a chore however when the programs take place in surroundings such as Valdevilla, a tiny highland village, just south of the La Rioja wine country. It dates back to the 18th century, with twelve rustic cottages looking out over the beautiful countryside. A second site La Alberca is surrounded by four mountain ranges, and the village of 1,200 people still has much of its original mediaeval architecture. The program is more than just a working holiday however; it provides a chance to get a deeper understanding of Spain, without needing to speak Spanish, and make some real friends amongst amazing surroundings. Tomas Mowlam looks at one of Paris’ best alternative music festivals. 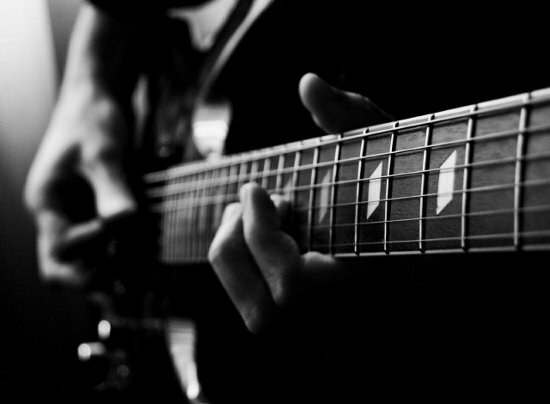 Les Inrocks will be kicking out the jams throughout Paris from 3 – 10 November. Now out of its teenage years Les Inrocks has moved into more balanced territory with a key theme across most of the venues, but it still boasts some of the best new bands as well as established headliners. This year the English electro kids are king, with quiffed pixie La Roux, Florence and the Machine and Little Boots all playing. Les Inrocks has reached the venerable age of 22, overseen by French magazine Les Inrockuptibles, the beating heart of the French alternative music scene. In Paris, venues like the decadent ex- cabaret and concert hall La Boule Noire will see new London electro rockers The Big Pink, playing alongside south London trio Chew Lips. Some of these bands have not even released an album, but publicity in England has got them a spot in Paris. The music continues throughout the week at other venues including Cigale, the Olympia, Maroquinerie, Point Ephemere and Comptoir General. The highlight for this year however promises to be Bad Lieutenant; with three former members of New Order and Blur’s own Alex James, it should be an experience to watch these veterans. From the 5 – 6 November, the bands will be invading Lille, before rampaging off to Nantes (7- 8 November) and then Toulouse (9-10 November). Northern Spain harbours some of humanity’s earliest examples of accomplished art. Rosie Khdir takes a journey back to the Stone Age. Marcelino Sanz de Sautuola was a lawyer with an insatiable intellectual curiosity. 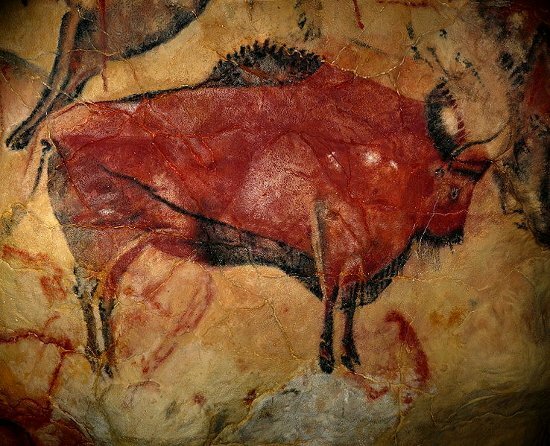 It was this curiosity that led him to discover the infamous Palaeolithic paintings in the cave of Altamira in Cantabria. In 1879, Sautuola was digging in the Altamira cave after discovering small bones, shells and drawings there four years before. His young daughter Maria, who was with him at the time, wandered a little further inside the cave and said she had seen pictures of oxen. Sautuola who has studied prehistoric art in depth, immediately recognized these paintings, actually of bison, as prehistoric creations dating back to the Palaeolithic era of the Old Stone Age. After years of fighting against the ‘elite’ of French pre-historians about the age and origin of these pieces of artwork, Sautuola’s discovery was finally validated using a modern dating technique 14 years after his death in 1888. Since then the cave has become a National Monument and a UNESCO World Heritage site with its own trust and museum. The Museo de Altamira is only 2 km from the village of Santillana Del Mar, only and an hour and half from the port of Bilbao. The exhibition is based around two main areas the “New Altamira Cave” and “The Times of Altamira” which includes a reconstruction of a Palaeolithic camp, a bear pit and the Chamber of Paintings. The “New Cave”, a reproduction of the original, offers visitors a look at the monument from 14,000 years ago. These paintings are extraordinary and show us that even cavemen appreciated a pretty picture! The colours and detail of the bison, boar and doe featured in the cave is unbelievable, and the exhibition at the museum helps you understand how such art was possible in such a time. The cave itself is currently in what scientists call a karst system which means the process of natural degradation is aggravating its structure. The cave itself is currently closed to tourists as a team from the Higher Council of Scientific Research and the Spanish Historical Heritage Institute try to establish a method of conservation. For more information on opening times and the exhibition itself visit the official Museo De Altamira website. One thing that you will be recommended to sample while in Belgium, besides chocolate and beer, is a waffle. Rosie Khdir discovers the nation’s favourite dessert. If you have a sweet tooth, then a Belgian waffle would be your idea of heaven on a plate, and Belgium seems to have a different and delightful topping for every day of the year! There two main types of waffle, the Brussels and the Liège. 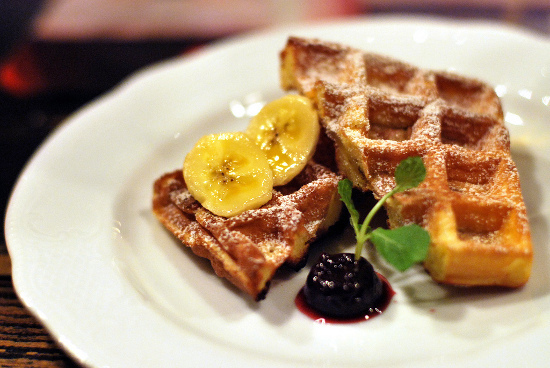 The Brussels waffle is usually rectangular in shape, roughly an inch thick, with fairly deep dimples. It has light in texture and is often served with a sprinkling of icing sugar. The Brussels waffle is infamous in America, with thanks to the efforts of Belgian waffle maker Maurice Vermersch at the 1964 New York World’s Fair. When Vermersch and four other families arrived in Queens with their tasty treat, its name changed to the Belgian Waffle and was soon eaten by Americans nationwide. The oval shaped Liège waffle was invented by the chef of the prince-bishop of Liège in the 18th century as an adaptation of brioche bread dough. It is often smaller and thinner than the Brussels waffle but is much more substantial. This waffle is baked with nuggets of “pearl sugar” imbedded in the batter, which melt and create a caramelised coating. These waffles can be customised to your taste by adding fruit, ice-cream, melted chocolate, whipped cream, butter, jam…the list could go on forever! You can find variations on the dish in every region of Belgium but these two are the most common. They can be found in cafes, restaurants and even in the streets! Some of the best waffles are available in the large squares, such as the Grand Place in Brussels. If you want to know what inspired one of the greatest French designers of all time then Granville is the place to go. Rosie Khdir steps into the world of Christian Dior. 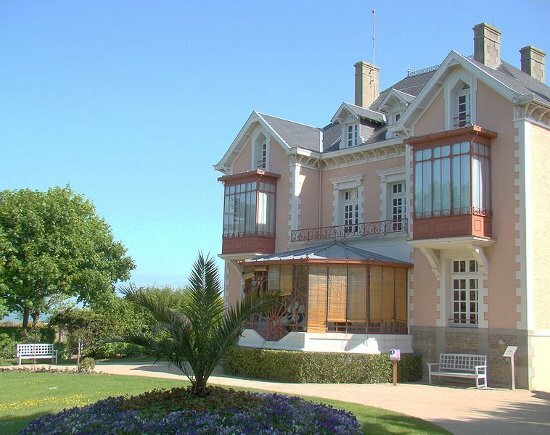 Upon a cliff facing the Channel Islands, not far from the magical Mont St Michel, sits Villa Les Rhumbs; this is the house where fashion legend Christian Dior grew up. After the death of his mother and the financial ruin of his father, the house had to be sold. It was bought by the city of Granville in 1938 and its gardens opened to the public. Later in 1991 the property suffered greatly due to an encroaching coastal path and has since be renovated and enlarged. On the centennial anniversary of Christian Dior’s birth the garden was made into “The garden of fragrances”, an exhibition which takes you on a journey through all Dior’s greatest perfumes. The Musée Christian Dior, as the house is now known, also offers a “fragrances” educational workshop where visitors can learn the art of distinguishing different scents. There are also a large number of objects related to Christian Dior on show in “The collections”, such as hats, jewelry, fragrances, paintings, fashion illustrations and some couture pieces. You will see in this selection of memorabilia just how much of an influence the beautiful flower filled gardens had on his clothing designs, for example with his first collection called “Corolle” which was based on floral shapes. This beautiful house and garden are a great place for fashion fanatics and the tearooms, with their 1900s style furniture are the perfect stopover for walkers and garden lovers. Romantic dreams are driving thousands of Brits accross the Channel in search of a better life. According to a recent survey they seek a bygone era, but, asks John Hillman, were the 1950s really so good? More than 150,000 British people live in France while more than 500,000 of us have holiday homes over there. According to research from the Montesquieu University in Bordeaux a principal reason given by ex-pats, for leaving the UK, is that France reminds them of how Britain once used to be. The Aquitaine region is by far the most popular destination, which probably has something to do with Bordeaux’s sizeable wine industry. Let’s face it the middle classes and wine go together like ants and sugar. Living abroad, however, certainly has its drawbacks, especially for children. It’s important to remember that no matter how much effort you make to integrate yourselves into the local community you will always be a bit of an outsider and growing up knowing this makes for a certain amount of added insecurity. It’s also worth remembering that the “UK 50 years ago” was hardly the most socially enlightened place so expect to encounter some pretty outdated attitudes in the rural hinterlands of France. The UK for all its faults is still a pretty cosmopolitan part of the world and leaving it can sometimes be a bit of a shock. But with property in rural France still selling well and millions of us still convinced that the grass on the other side of the Channel is considerably greener, expect the gradual migration of the middle classes continue. Me personally? I’ve always preferred real ale to Sancerre.